Select Plumbing and Heating has been serving the greater Toronto area with professional commercial and industrial plumbing and heating services for 28 years with distinction. Our team of highly-trained technicians deliver expert work at fair pricing with the utmost professionalism. Welcome to Select Plumbing & Heating Inc.
You can trust your business to us because our commercial plumbing services Mississauga are unparalleled. Along with our incomparable experience as your one stop plumber service in Etobicoke, Brampton and Oakville, we stay on top of all the latest innovations so we’re experts at electronic faucet repair and electronic flush valve repair too. The attraction of our company is in our attention to detail. When you’re looking for a plumber who understands how to look after a number of different repairs, we should be your first and only stop. From quick and easily resolution of your plugged drain to toilet repair that is fast and efficient, Select Plumbing and Heating has a team of licensed professionals ready to serve you. If you’ve got a sewer backup issue in Oakville, our fully equipped service trucks will be dispatched to your location to get the problem resolved quickly and efficiently. 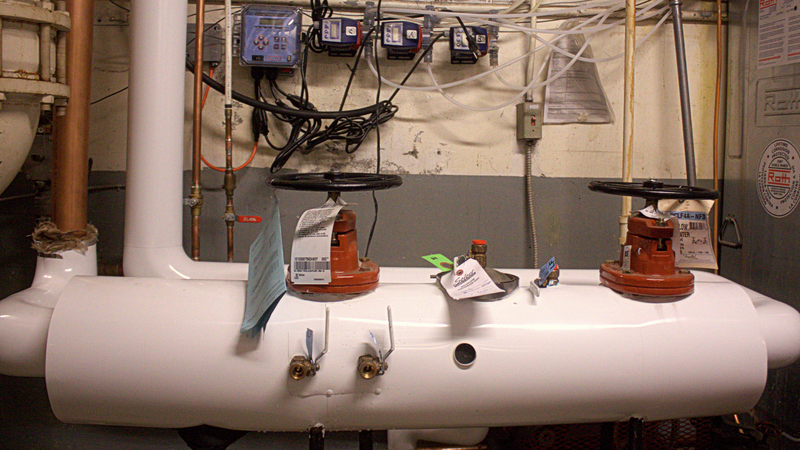 Sink repair is just one of the other services we offer along with quick and speedy resolution of any hot water tank issues. Customer service is always our number one priority here at Select Plumbing and Heating. Each and every one of our clients is treated like a respected member of our own family whether they need something as simple as a plugged drain looked after or a backflow preventer installed. The point is simple and clear. We have the experience and know-how to look after all of your plumbing issues because we are the plumber that has the dedication and compassion to get the job done right the first time. Why not contact us today so that we can get started building a relationship with you that will have us becoming your Mississauga plumber of choice? Call, email or fill out the handy contact form right away.